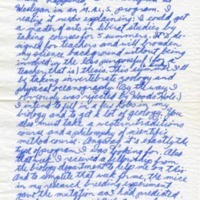 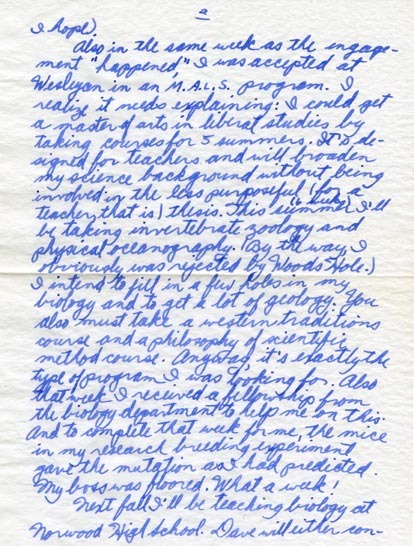 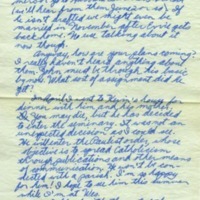 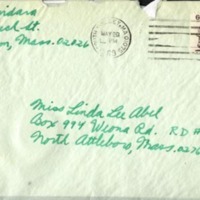 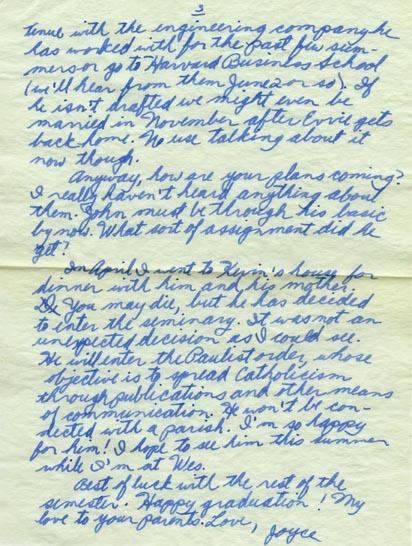 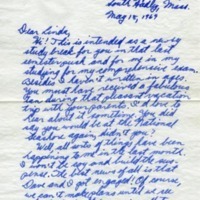 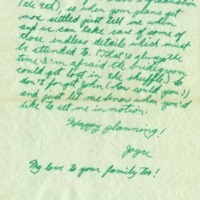 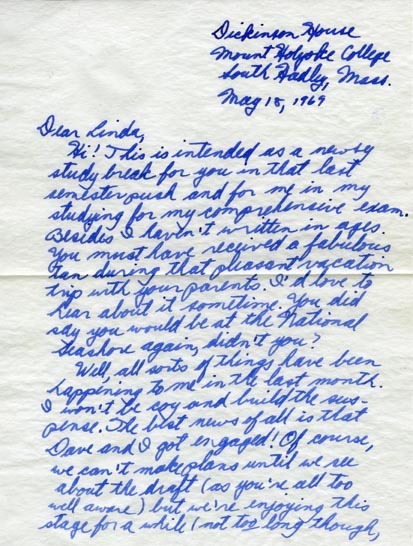 Two letters from Joyce Laquidara to Linda Lee Abel written on May 18th and May 28th 1969. 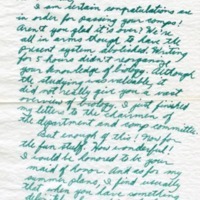 The letters discuss college life, comprehensive examinations, academic achievements, graduate schools and programs, engagements, the military draft and future plans. 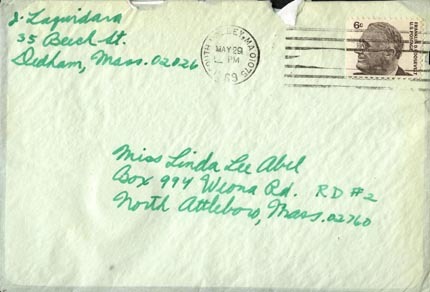 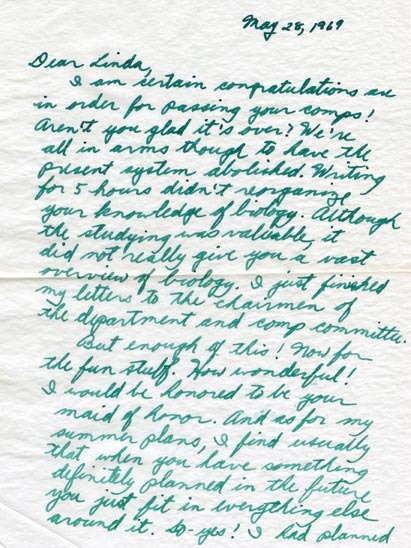 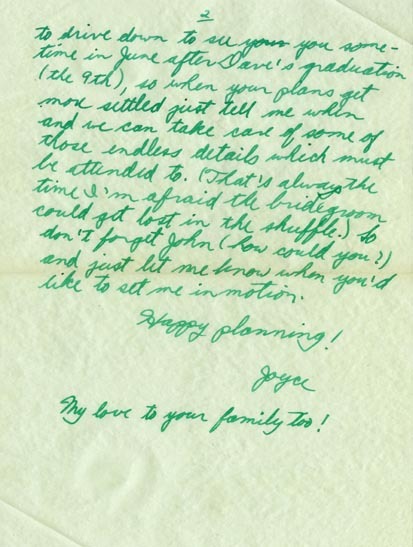 Laquidara, Joyce, “Two Letters from Joyce Laquidara,” Linda Lear Center Digital Collections and Exhibitions, accessed April 24, 2019, http://lc-digital.conncoll.edu/items/show/1147.